We are the perfect destination for the discerning corporate traveller, a romantic getaway for two people, through to a family holiday. In the beautiful beachside location of Shoalwater Bay - part of the Rockingham region (just 40 km south of Perth, just a short drive from Perth or Fremantle) we offer a wonderful luxury executive homes. This furnished home has spacious interiors with all the amenities you would expect of a fully self-contained luxury home. 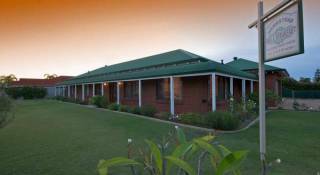 Situated minutes from Shoalwater Bay Marine Park (home to penguins, dolphins, seals, pelicans and other local migratory bird life) - you will be enchanted by the unique Indian Ocean sunsets and spectacular sunrises over Lake Richmond bush land. Serviced weekly this home provides the ideal stay for the business or holiday traveller. Dine in using the fully equipped kitchen or take advantage of the numerous award winning restaurants/take out facilities in the area. These homes are ideal for corporate business able to service HMAS Stirling, Department of Defence and the Kwinana/Henderson industrial area. 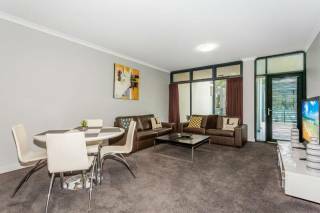 It will be our pleasure to host you in this luxury house during your stay in the Shoalwater/Rockingham area.